The largest US television audience for a soccer match tuned in Sunday to see the American side win the Women’s World Cup. For the United States, the women’s World Cup title capped a long, strange tournament played largely outside the country’s enthusiastic embrace. Sure, a record-breaking 25 million-plus tuned in to Sunday night’s dominant display against Japan. And yes, cities across the country staged viewing parties for the final, and sportscasters talked about Golden Ball winner Carli Lloyd as if they’d followed her since her days at Rutgers University. But let’s be honest: We’re talking about a lot of bandwagon jumpers bolstered by Fourth of July patriotism. U-S-A! U-S-A! U-S-A! Now, don’t get me wrong. It’s great to see the women’s national team draw the largest US television audience ever for a soccer match. 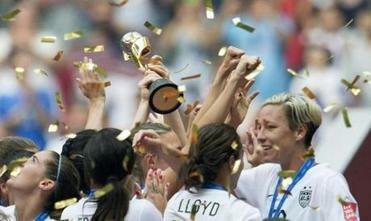 It’s great to see breaking news banners announce the team’s 5-2 World Cup win in the final. It’s especially great to see ESPN’s “SportsCenter” lead off with seven minutes of women’s soccer once the United States grabbed the trophy. The players deserve it. The game was seen by 26.7 million viewers, topping the 26.5 million who watched the 2014 men’s world cup final. But Sunday’s shower of gold confetti and gold medals can’t make up the difference between the $35 million FIFA awarded to Germany, the 2014 men’s World Cup winner, and the $2 million the United States team collected Sunday night. In the men’s tournament, teams receive $1.5 million just for participating. To be fair, the men bring in much more money through every imaginable revenue stream, but the $2 million women’s championship prize shows just how little FIFA values female players and their game. Also insulting was making the women play the 2015 World Cup on skin-grating, inferior artificial turf. Or, having the gold medals paraded onto the field by models clad in identical black, skin-tight dresses a la Robert Palmer’s “Addicted to Love” video. Yes, that actually happened Sunday night. FIFA, soccer’s international governing body, never ceases to amaze with its tone-deafness and sexism. But there are more subtle disparities between support for the men’s and women’s game that don’t link back to FIFA. If you wanted to watch Group Stage games live when the tournament started in early June, chances are you hunted for the Fox Sports 1 channel and Googled start times. Then, the US team not only struggled to score in the early rounds but also to capture the public’s imagination and become part of the national sports conversation. A week ago, as the United States prepared for a semifinal match against No. 1-ranked Germany, I’ll bet most Americans couldn’t name five players on the US roster. By contrast, before the United States played in the 2014 men’s World Cup in Brazil, there seemed no shortage of national buildup and debate. I remember plenty of talk about lineups and formations and travel, too, especially with a Group Stage game in the remote Amazonian city of Manaus. 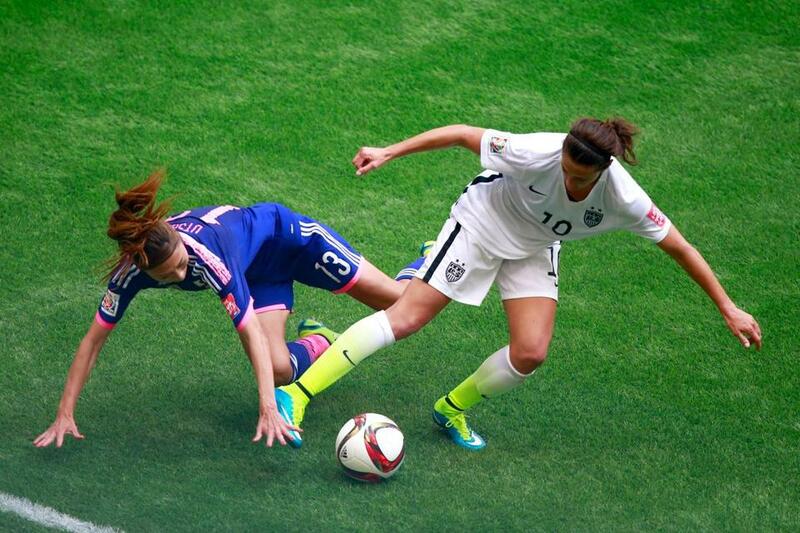 Carli Lloyd (right), who was named the tournament’s best player, battled Japan’s Rumi Utsugi for possession during the Women’s World Cup final. Please don’t twist this into an argument about the men’s game versus the women’s game. I’m not comparing what happens on the field, though the women’s game proved incredibly entertaining the last four weeks, artificial turf and all. I’m talking about the attention and respect the women’s national team deserves for more than a couple of games, and for more than a quadrennial tournament. Maybe the women’s team suffers because of its own success, at least when it comes to early tournament attention. For the women, making it to the knockout stage is expected. Making it to the final and winning is expected. So, there’s less suspense until the end. Nonetheless, the US women’s opening-round matches attracted an average of 4.3 million television viewers on Fox and Fox Sports 1. Even more impressive? The 5 million Fox viewers who watched the US women beat Nigeria in both teams’ final Group Stage match. That number made US-Nigeria the most-watched women’s Group Stage game ever and, at the time, the most-watched soccer match ever on the network. All that is encouraging, but equality is about more than television ratings. It’s about women’s soccer creating a shared experience and a national conversation beyond “we won.” That wasn’t there for the first few weeks of the tournament. One day after the United States advanced to the quarterfinals, a man caught a foul ball at Wrigley Field while bottle-feeding his infant son. The catch appeared on constant replay, receiving more postgame coverage across a broader range of media outlets than the US women’s team. In the heady days after the United States won the 1999 women’s World Cup before a record 90,000 fans at the Rose Bowl in Pasadena and 17.9 million TV viewers in US homes, optimism about women’s sport was contagious. It seemed the US team’s magic tournament run would change how fans viewed female athletes and launch a new era of greater interest, attendance, and national buzz. But it never happened the way many hoped. 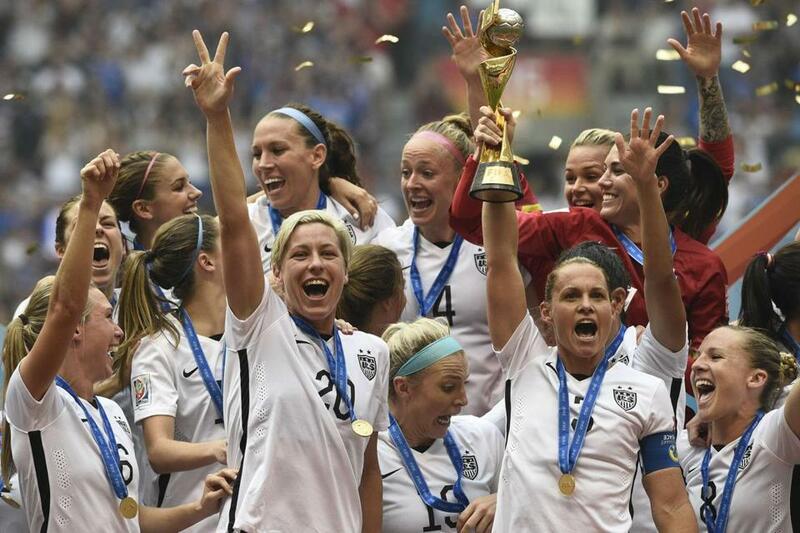 Now, with another World Cup win 16 years later, the US women’s team is enjoying its moment again. But it should be more than that. Shira Springer can reached at shira.springer@globe.com. Follow her on Twitter @ShiraSpringer.